Fall is approaching soon, putting a stop to the continuous humidity and heat that the summer season has brought us in the last few months. Motivating yourself to step outside in 90-degree weather can be a struggle, especially if your goal is to go on a run, hike, or walk to get some fresh air. Autumn’s breezy and cool weather can bring new opportunities for anyone looking to step up their fall fitness game. Fall is your chance to switch it up from the gym to the track. Staring at the elliptical, treadmill, or bike can make minutes feel like hours sometimes. You may even want to consider putting a freeze on your gym membership to take full advantage of the nice weather, while also saving some extra money! Exercising while enjoying the scenic foliage of the leaves, pumpkins, and trees is the perfect way to zone out after a long day at work. You can break out your bike or simply run around during any autumn day to make a work out more enjoyable. 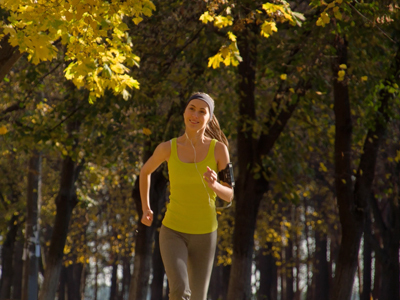 Running is a big fall activity that can keep your fitness and health plan in check. There are so many fun marathons and half marathons from September to November to look forward to in the country. Some popular upcoming ones include the Chicago Marathon, Portland Marathon, Detroit Marathon, and Des Moines Marathon! It’s a great way to get yourself outside more and enjoy the weather before winter’s frigid temperatures hit us!